The short answer is a dentist with additional training. The long answer is a dentist with at least 4 years of surgical training following completion of doctoral studies as well as any number of additional certifications in hospital based anesthesia, neuromuscular dentistry, prosthodontics, dental implants, and many other specialized services. Oral and maxillofacial surgeons are the dentists who know the structures and functions of the face thoroughly, and understand how they work together to accomplish every day functions like chewing, speaking, and smiling. To find out more about oral and maxillofacial surgery in Houston, read on or contact the experts at Piney Point Oral and Maxillofacial Surgery. Upon completion of undergraduate study and doctoral study in dentistry, oral surgeons go on to complete at least 4 years of advanced surgical training. 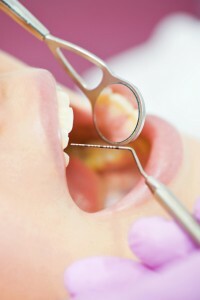 These additional years of education allow oral and maxillofacial surgeons the ability to offer a wide variety of treatment options for patients who have experienced trauma, significant dental misalignment, temporomandibular joint (TMJ) disorder, and other serious oral health concerns that may need targeted surgical treatment for optimal care. The goal of training and education in this dental specialty is to prepare dentists to serve as a bridge between dentistry and medicine. In fact, some physicians receive degrees in Oral and Maxillofacial Surgery and vice versa in order to provide the widest variety of care. At Piney Point Oral and Maxillofacial Surgery, we work hand in hand with local dental practices and hospitals to provide assistance, guidance, and treatments to ensure optimal patient experience. Additionally, most oral and maxillofacial surgeons have training and certification in all levels of anesthesia and sedation from local to general anesthesia as well as nitrous oxide, oral conscious, and IV sedation. Many of the treatments we offer are common, but there are some services that may surprise you. To find out more about oral and maxillofacial surgery options or the training and experience of the team at Piney Point Oral and Maxillofacial Surgery, contact our team to schedule a consultation today. If you’ve been referred to a different oral surgeon, we also offer second opinions. Comments Off on What is an Oral and Maxillofacial Surgeon?